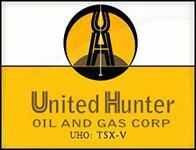 United Hunter Oil and Gas Corp.
United Hunter Oil & Gas Corp. (TSXV: UHO) is an oil and gas company engaged in the exploration and development of oil and gas properties. Focused on North America with projects in California and Canada, United Hunter Oil & Gas Corp. is publicly traded on TSX Venture Exchange. Park Place Energy Inc. (OTCQB: PKPL) is a U.S. based oil and gas exploration company focused on building a portfolio of international exploration and development projects in Turkey and Southeast Europe. The Company’s focus is on recently acquired oil and gas producing assets in Turkey and a coal bed methane exploration license in Bulgaria.